Magnolia Home Care Service is operated and owned by a Registered Nurse in Savannah, GA. We are dedicated to serving the community and providing quality home care services in Savannah, Georgia. Serving our community is what we strive to do. We do this by providing respect, loyalty, integrity, honesty, fairness, and quality care. Through these core values, our service goes beyond expectations. Magnolia Home Care Service is state-licensed, fully insured, and bonded. 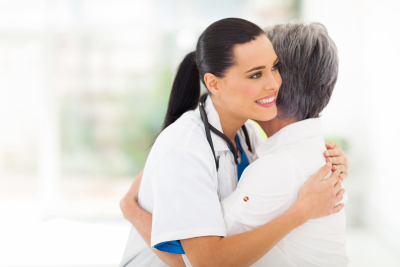 To give quality care, we work closely with the client’s medical team (client, family, doctor, case manager, and other members of the interdisciplinary team). All team members work together to implement a care plan to meet the client’s goals and needs. Our client’s safety comes first. We believe in being advocates for our clients. We promote and help them live an independent life in the comfort of their home. We understand that dignity, control, self-esteem, and fulfillment are important. Our home caregivers consist of Certified Nursing Assistants and licensed nurses who will provide top-notch care to individuals and their families. Our mission is to provide quality service to our clients, their family members, and the community. We offer services that exceed community standards and we pledge to give loyalty, respect, and dignity at all times. Our goal is to go beyond client expectations and always display honesty, integrity, and fairness. A world where each individual receives quality care. To learn more about our agency and services, please don’t hesitate to contact us at 912-319-7273 / 912-507-3514 (Emergency After Hours).